Citizenship and Immigration Minister Chris Alexander has launched a new program called CAN+ which will make it easier for Indian nationals who have traveled to Canada or the U.S. in the last ten years to immigrate to Canada through more efficient application processing. The program will make it simpler for potential immigrants from India to come to Canada to travel, learn, do business, and/or support Canada’s economy. 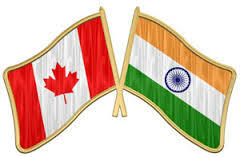 India is a major country for visas to Canada and approximately 95% of visitor visas issued to India nationals in early 2014 were multiple-entry visas. Through three different visa “Express” programs, mainly Business Express, Tourist Partner Program, and Student Partners Program Indian nationals will be able to expedite their immigration applications. This initiative is expected to strengthen Canada’s economic and cultural ties with India. I am currently living in United States, Michigan. I want to file for permanent residency in Cananda. If the process can be faster by migrating to a particular province in Canada, I am open to moving any province. I have a 4 year old daughter who will most likely be joining me. She is a U.S citizen. My husband is working in USA on H1 visa. He will not be joining us.